The needle of the compass shudders as it swivels resolutely south-west to the Waterberg Region - vast, peaceful, incredibly beautiful and more than three million years old. 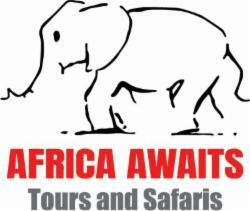 Situated in the magnificent Waterberg Mountain Range. This region is a harsh but rewarding area of startling beauty, a beauty which lies in its superb vistas, mountain gorges, clear streams and rolling bushveld hills, all rich in indigenous species of plant and animal life - including the 'Big Five'. This is an area where the heat is quenched and aching muscles soothed by the mineral baths of the myriad hot spring resorts. The Waterberg ('Water Mountain') is a unique wilderness area of South Africa yet to be fully discovered. One of the country's lesser known geographical wonders and blueish in colour, the range supports a biome spanning over 15,000 km², offering breathtaking valleys far from the madding crowd of the bustling tourist centres.